Marya Munir is an accomplished, award-winning, marketing professional with over 20 years of experience in B2B marketing, demand generation, channel partner programs, partner enablement, marketing communications, lead nurture, content strategy and web marketing for the IT industry. Marya currently serves as senior director, channel marketing at VIPRE where she is responsible for leading VIPRE's global channel marketing strategy and program, including demand generation activities and go-to-market execution for all partners including solution providers, managed service providers and remote monitoring and management (RMM) partners. . 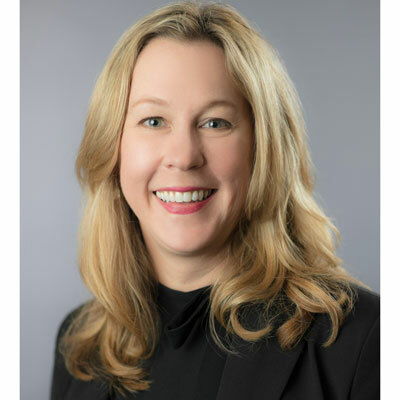 Prior to joining VIPRE she served as director, worldwide partner and alliance marketing at Webroot, responsible for recruiting, enabling and retaining more than 10,000 partners worldwide. As a passionate advocate for channel partners, Marya has repeatedly championed the design and launch of multiple channel programs and portals, delivering innovative marketing and sales tools to help MSPs, resellers and distribution partners grow their business. She is passionate about elevating companies through successful and innovative marketing strategies and motivated by a challenging and fast-paced work environment. Strong interpersonal, leadership and team building skills have led to her proven track record of exceeding corporate and personal goals. Focused on building the foundation of the new VIPRE Partner Program and expanding our partner ecosystem, I launched a new partner portal designed to deliver innovation tools and purchasing capabilities that enable our partners to grow their business. The portal delivers a single place for partners to leverage robust sales and marketing tools, manage orders and license keys, take training courses, as well as register deals. Additionally, I implemented a heavy partner recruitment strategy that built brand awareness, generated leads, delivered education and thought leadership, and aligned VIPRE with strategic adjacent technology partners. With this strategy, VIPRE more than tripled its partner applications YoY resulting in over 3000 active partners in 2017. 2018 will bring accelerated growth for VIPRE, our existing partners and the partner ecosystem at large. Now that the VIPRE Partner Program foundation is established, we'll focus on growing business through existing partners and introducing VIPRE to MSPs and resellers through new routes to market. This will happen through new partnerships, new solutions, and global expansion. My mother, for being true to herself and a strong leader. She works every day to make the world a more beautiful place - spreading joy, creating friendships and promoting the arts in her small community. She is grateful, humble and always thinking of other before herself. Believe in yourself, have confidence, stay true to your core values and always trust your gut. And remember this, one of my favorites quotes, "Respect Yourself Enough to Walk Away From Anything That No Longer Serves You, Grows You, or Makes You Happy," by Robert Tew. Pivot tables. Despite all the new apps and tools we have, sometimes the best tool is still an Excel spreadsheet. The Power of Now by Eckhart Tolle, again. The book is a great reminder of the power of being present and living in the present.